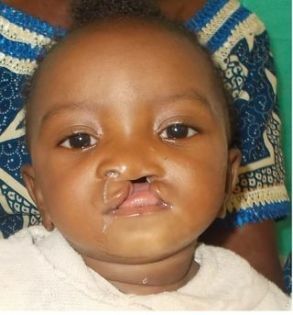 Benetta Johnson was born with a cleft lip 9 months ago. 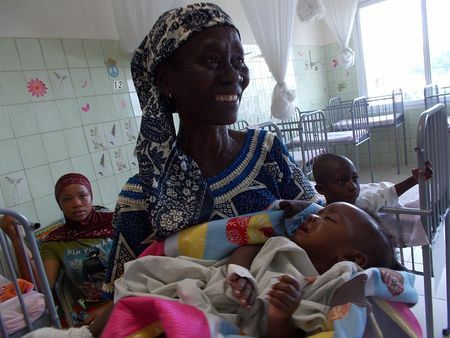 Her mom left her stranded at the hospital the day she was born because she was ashamed of her. For days the hospital staff searched for her mom but could not find her, and since no one was coming forward to claim her, the hospital started processing her adoption papers. 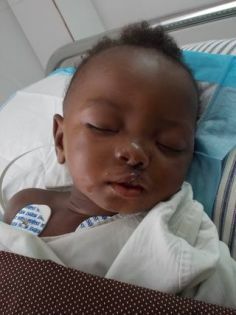 Luckily, one of the care givers who worked closely with the hospital heard about the adoption news, and decided to go to the hospital to see the baby. When she arrived she was filled with joy because she knew who Benetta belonged to. She called Benetta’s grandmother, who came to the hospital to pick her up. Because her daughter abandoned her grandchild without naming her, the grandmother decided to name her after the caretaker/friend who found her.